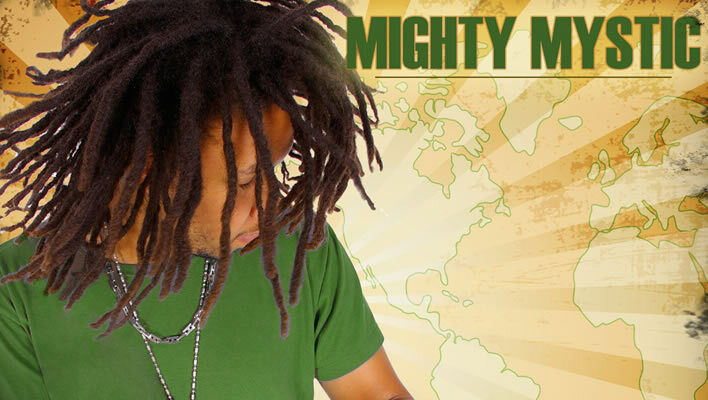 That’s right U.S based reggae star Mighty Mystic has released his brand new song titled “Concrete World”. The song has caught fire on the global reggae scene and is rapidly becoming a favorite amongst reggae supporters. Since it’s release the song has garnered the support of some 500+ worldwide DJ’s, 250 radio stations and continues to grow. The video for Concrete World has also been recently released and so far it has been featured on over 1000 video & blog sites as well as boasting 100,000 plus views on Mighty Mystic’s youtube video page. Though early, the video for Concrete World has the makings of a viral success. Mighty Mystic brand of “Hard Root’s” reggae has proven to be a magnet for music lovers all over. It’s not uncommon to hear his fans saying “we drove 6 hours to see him perform live” which can only be taken as a sign as what’s to come for this bright talent. Mighty Mystic’s Concrete World is shaping up to be a big success for the genre. Look out for his sophomore album “Concrete World” (same name as current single) this upcoming fall 2013. For tour, music and additional info on Mighty Mystic please visit his website(s) below.